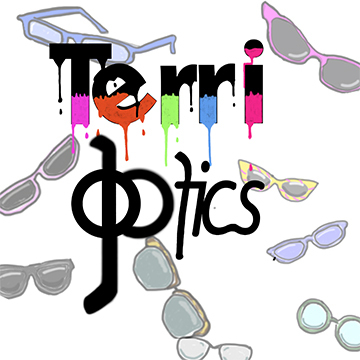 Frames | Terri Optics, Inc.
Because we are a family-run independent company, we have the freedom to place people first and get behind the products we are passionate about. Things like bringing you the latest in technology for lenses and a curated selection of independent well-made frames. Things that matter to us – and to you. It is important your child be fit properly with glasses. Slipping, looking over the top, side pieces that are too long or maladjusted make the glasses uncomfortable and can affect how your child sees. We will make sure your child's glasses fit properly. Terri Optics frame collections are thoughtfully curated to meet the needs and desires of our patients and clients. We believe each person and face is unique and deserving of a frame that expresses the individuality of that person. We hand select the frames and sunglasses that are thoughtfully designed and crafted using innovative construction and high-quality materials. This means you will be adorning your unique face with eyewear that is beautiful and comfortable! Your face is the focal point of your person. It is what is looked at first by the world. A well fit quality frame says you care enough about yourself to wear the best. At Terri Optics we believe eyewear allows you to explore and express your personality. Eyewear frames your face and accentuates your features. Wearing a distinctive, quality, well fit frame leaves a lasting impression on everyone you meet. Our collections are carefully curated from independent designers around the globe including the USA. Frame boards are a thing of the past. We have some pieces on display to entice you. The rest are tucked away in custom made frame drawers. During your eyewear consultation by a trained stylist or licensed optician, specific models that fit your face, personality, and prescription are brought out and shown to you. We thoughtfully style you taking into account many factors including your prescription and how you use your eyes. From our eyecare family to yours - We are committed to providing you with a delightful eyewear experience. Come in and have some fun!